Snake island is in Lagos a popular city in Nigeria and the economic focal point which generate a large portion of the nation’s GDP. The state was formerly the capital of Nigeria before it was moved to Abuja, it is also popularly abbreviated as “Lag” and pronounced that way. History makes us understand that Lagos meaning Lake was named by the Portuguese but before then it indigenes calls it “Eko” in Yoruba language meaning Island. The state is seen as a port city because the area is mostly surrounded by waters, the land is highly blessed with water and entrepreneurs, Lagos does not really have natural resources but the state is filled up with an opportunist, today Lagos is seen as one of those fastest-growing cities in the world. Among all the beautiful places in Lagos, we find the Snake Island an astonishing place in Lagos because of few reasons and its nature. First, one may think that Snake Island in Lagos simply implies that there is an Island filled with snakes in Lagos but no, that is not it. Today we will know why this place is astonishing among the beautiful and luxurious places in Lagos. Snake Island is included as Amuwo Odofin landmark that is opposite Tin Can Island in Apapa, fact remains that Snake Island is not as developed as other Islands in Lagos e.g. Banana Island, Lagos Island, Victoria Island etc. The place is a typical example of what your village or any village could look like, the Island lacks government attention and need basic social amenities and infrastructure e.g. hospital, school, waste disposal, power supply etc. also there should be job opportunity for the occupants of this Island because they are living a life out of the normal Lagos live; example of job in this Island are motorcyclists, boat rides, fish mongers, crayfish traders, local hairdressers etc. any indigene who is looking for a better job goes to Apapa in search for greener pasture, Snake Island is blessed with trees and green leaves which the indigene can cultivate for food. 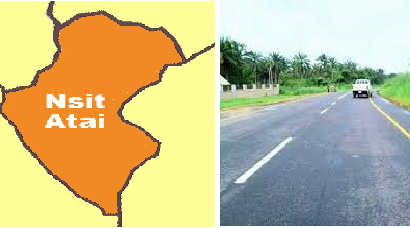 The Island consist of many communities eg Nanti, Igbologun etc. some of the communities has inactive Healthcare center and poor schools around, well fact remains that there are graduate and undergraduate, corps, government officials etc. living in this Island and they are all happy with where they are. Technology is not too far from them because they have a neighboring district that is dealers in technology product but reasons why Snake Island that is surrounded by civilized town still remain that poor can only be told by a Prophet. The island originates its name from the shape of a snake, this is because the communities on that island forms a snake shape and therefore the name Snake Island was giving to the island it is not because of the presence of a snake that is found on the Island. In the past, 2004 precisely Snake Island faced a global view when Guilder Ultimate Search carried out a live adventure. The Island also carry out training on how to swim which is known as Sea School.